No matter the size of your business, communication is vital to its success. 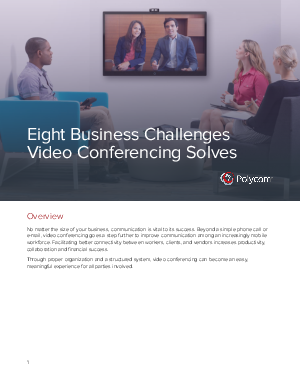 Beyond a simple phone call or e-mail, video conferencing goes a step further to improve communication among an increasingly mobile workforce. Facilitating better connectivity between workers, clients, and vendors increases productivity, collaboration and financial success. Through proper organization and a structured system, video conferencing can become an easy, meaningful experience for all parties involved. Download to learn more!